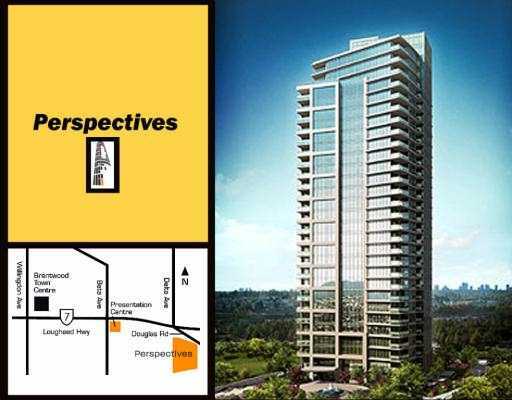 Perspective is located at the heart of Brentwood, surrounded by convenient transportation, Burnaby parks, grand views of Mount Baker and the NorthShoreMountains. In a thriving neighbourhood, all within walking distance are great restaurants, grocery stores and Brentwood Mall. Homeowners can enjoy a variety of facilities such as billiards, a library, a landscaped terrace with an outdoor barbeque area. Perspective was developed by Ledingham McAllister which has worked on large projects such as the construction of the Hudson Bay store, the GranvilleStreetBridge, and the original infrastructure for the VancouverInternationalAirport. Ledingham McAllister has been in the business for four generations providing their customers with quality, integrity and industry-leading performance.